The father of the deceased filed a lawsuit in a Beijing court in July against the car dealer who sold him the car, alleging that his son had turned on the Autopilot feature before he crashed into a vehicle in January in the northeastern province of Hebei, according to reports citing Chinese state broadcaster CCTV. Tesla has said it is unable to determine whether or not Autopilot was engaged at the time of the crash. As a result of the damage caused by the collision, the car was physically incapable of transmitting log data to Tesla servers, wrote spokeswoman Keely Sulprizio late Wednesday. “We have tried repeatedly to work with our customer to investigate the cause of the crash, but he has not provided us with any additional information that would allow us to do so,” Sulprizio added in an email. Tesla ran into controversy about the safety of Autopilot in June, when it reported a fatality in Florida in a car accident in which the driver was killed after the vehicle went under a high trailer, with the bottom of the trailer impacting the windshield of the Model S car. Autopilot had been activated at the time. The incident is under investigation by the National Highway Traffic Safety Administration. Consumer Reports, a product-testing and rating nonprofit, called on Tesla at the time to disable hands-free operation in its cars until the technology can be made safer. The company said last week that it was upgrading Autopilot to make it safer by having radar as a primary control sensor without requiring confirmation by the camera for visual image recognition. 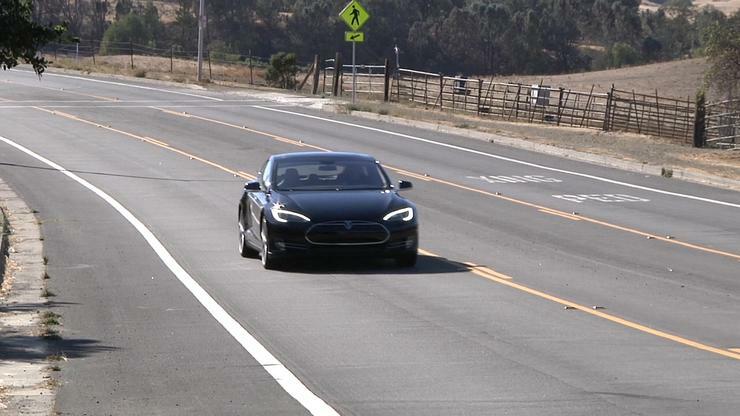 Added to Tesla vehicles in October 2014 as part of the Autopilot hardware suite, radar was then meant to be a supplementary sensor to the primary camera and image processing system. The company claimed to have overcome the problems presented by radar, such as false alarms leading to the slamming of brakes even when the obstacle is an innocuous object like a soda can.